Despite their functionality, the electric bicycle has earned a reputation for being clunky and ugly. Thankfully, Faraday is here to change that. Committed to building the world’s finest and most stylish electric bicycles, the San Francisco-based company just unveiled the Faraday Cortland, the long-awaited step-through follow-up to their acclaimed and elegant Faraday Porteur flagship bicycle. 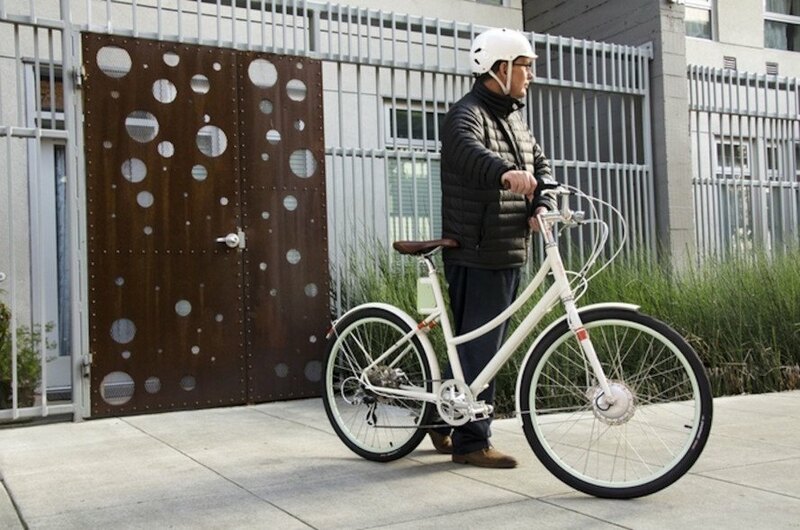 Faraday is returning to their Kickstarter roots to crowdfund the Faraday Cortland electric bicycle. In 2012, backers from around the world helped raise over $175,000 to bring the first Faraday bicycle and the company to life. 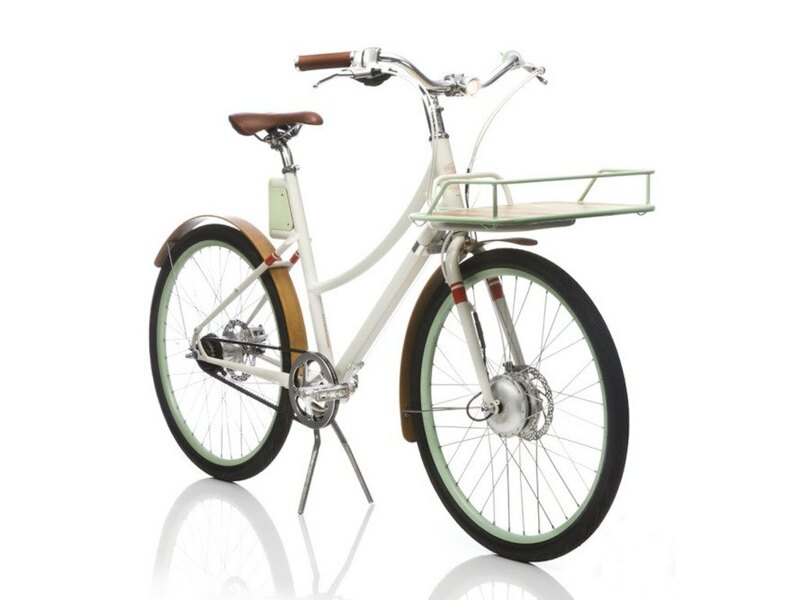 The major appeal of the award-winning Faraday bicycles is it’s beautiful design; unlike most e-bikes, the Faraday Porteurs look like typical bicycles thanks to the hidden battery pack and motor. Designed to offer “the perfect balance of style and utility,” the new Faraday Cortland’s step-through frame may be the most noticeable difference from its predecessor, but it isn’t the only change. The stylish Cortland also offers 20% more range (290Wh for 25 miles of assisted riding), a more efficient motor (250W with a peak of 350W), upgraded software, and more. 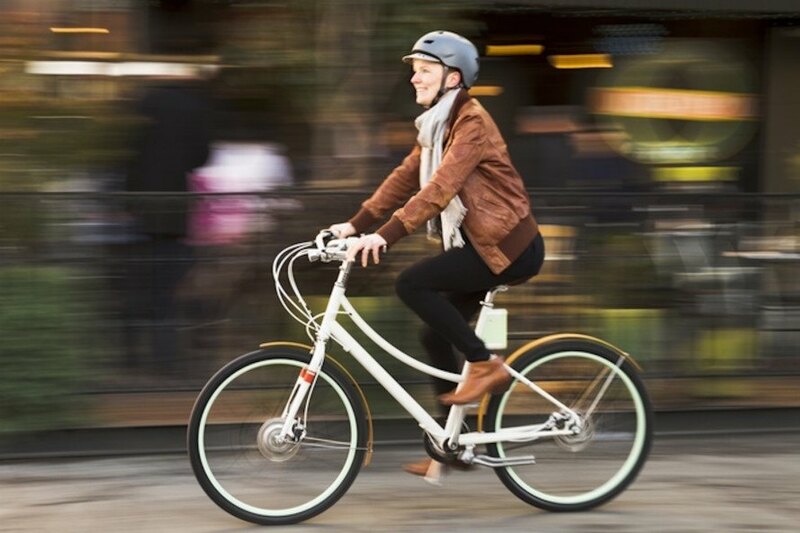 The comfortable and powerful ride ensures that commuters can get to and from work without breaking a sweat. Weighing in at 40 pounds, the relatively lightweight Cortland comes in three colors—classic white, Sting Ray Blue, and Slate Gray—depending on the model. Like the Porteur, the Cortland will be offered in two models: the standard Faraday Cortland and the discounted Faraday Cortland S. Both models are equipped with a built-in LED headlight, hydraulic disc brakes, and a durable step-through steel frame. The Faraday Cortland model features improved specs, including a low-maintenance eight-speed Shimano Alfine internally geared hub, Gates carbon fiber belt drive, steam-bent bamboo fenders, and hydraulic disc brakes. Early bird backers have the chance to snag a Cortland electric bicycle for just $2,999—$800 off the retail price. Designed to offer “the perfect balance of style and utility,” the new Faraday Cortland’s step-through frame may be the most noticeable difference from its predecessor, but it isn’t the only change. The stylish Cortland also offers 20% more range (290Wh for 25 miles of assisted riding), a more efficient motor (250W with a peak of 350W), upgraded software, and more. 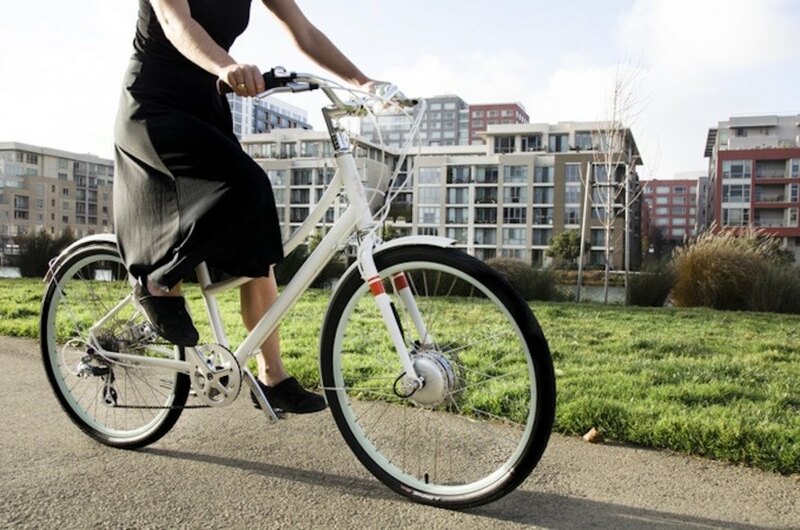 The comfortable and powerful ride ensures that commuters can get to and from work without breaking a sweat. Weighing in at 40 pounds, the relatively lightweight Cortland comes in three colors—classic white, Sting Ray Blue, and Slate Gray—depending on the model. Like the Porteur, the Cortland will be offered in two models: the standard Faraday Cortland and the discounted Faraday Cortland S. Both models are equipped with a built-in LED headlight, hydraulic disc brakes, and a durable step-through steel frame. The Faraday Cortland model features improved specs, including a low-maintenance eight-speed Shimano Alfine internally geared hub, Gates carbon fiber belt drive, steam-bent bamboo fenders, and hydraulic disc brakes.